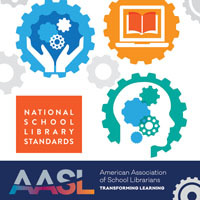 AASL at ALA Annual began with the State Ecosystem Luncheon, School Library Advocacy: Enhancing Collaboration and Strengthening Library Ecosystems. It was a celebration and sharing of the collaborative efforts that have been made at the state level between the state affiliates, state library chapters, and other state library groups and leaders. After the luncheon, Stephanie Book, Manager, Communications, presented updates on the AASL Standards. Eileen Kern, Chair, Vision for Implementing ESSA Task Force, brought updates from the Task Force. Affiliate Assembly I: Members participated in “Successes and Challenges: Learning from Each Other” roundtable discussions. Topics discussed were advocacy, state conferences, standards implementation, and membership development. Following reminders that elections for Recording Secretary and Affiliate Assembly Chair-Elect would take place during the next session, the remainder of the meeting was devoted to regional caucus to discuss the Concerns and Commendations being voted upon in Affiliate Assembly II. Affiliate Assembly II: The Sunday morning meeting began following a delicious breakfast buffet sponsored by ABC-CLIO. We were pleased to welcome ABC-CLIO representative and Libraries Unlimited editor David Paige to the lectern. Paige expressed to Affiliate Assembly delegates not only a corporate “thank you” for the work we do, but also a personal thank you for welcoming him into our community. Paige informed attendees that copies of School Library Connection were available for them to take. Affiliates moved into regional caucus time where they selected Regional Representatives to serve during the 2018-2019 assembly year. Next on the agenda was AASL President Steven Yates. Yates extended the official welcome of the organization. 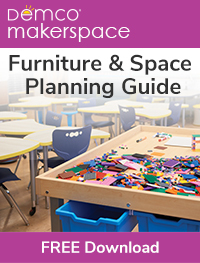 He shared information from the Presidential Initiative Task Force, the 65th anniversary fundraising campaign, and the upcoming AASL National Conference. He also gave updates on various programs, initiatives, and task forces, sharing exciting opportunities ahead for participants. Following a break, assembly delegates heard from candidates Blake Hopper and Janet Klaudia for Chair-Elect, and Barbara Johnson for Recording Secretary. Assembly delegates voted on the three candidates. Blake Hopper was elected as Chair-Elect, and Barbara Johnson was elected as Recording Secretary. Finally, Affiliate Assembly has forwarded ten programs or events to the AASL Board of Directors for their consideration for Commendations. They are Massachusetts State Legislature; New Hampshire Fisher Cats Reading Challenge; Illinois Reads; nErDcampMI; Great Michigan Read program; Books for Bedtime; Crime Cats Mystery Club; Fang’s Reading Club; Read Up Greenville: The Upstate Shares Literacy through YA Authors and Cards for All—School/Public Library Card Project. AASL Board of Directors should improve communication by highlighting the position of Regional Director as the disseminator of information from AASL to Affiliates. There needs to a clear and redundant communication channel from AASL to the state associations through the Regional Directors. 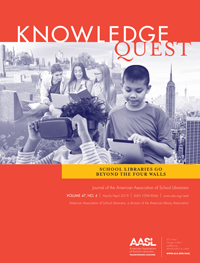 AASL Board of Directors should work with ALA to develop a campaign and strategies to encourage state chapter councilors to establish two-way communication with state AASL Affiliate organizations and encourage State Library Agencies to do likewise. Delegates can expect to hear what action, if any, will be taken regarding these concerns after the Executive Committee meets.